Is your student interested in pursuing a major in Biology/Medicine, Business or Coding? Do you want to learn how to qualify for competitive internships and build the strongest applications to the best colleges and universities in the country, including Harvard, Stanford, UPenn, and Caltech? 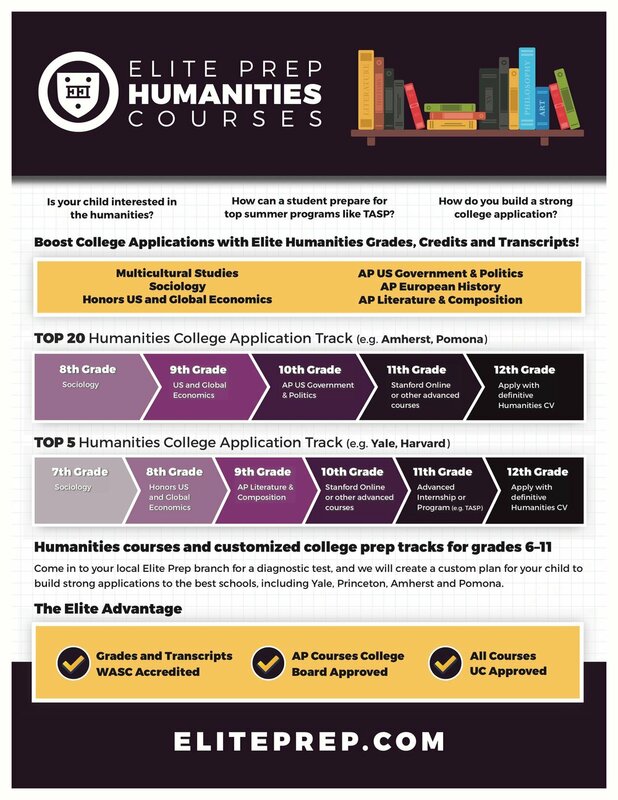 Elite Educational Institute is proud to introduce customized college application tracks and fully accredited courses to prepare your student for acceptance into the most competitive schools and programs in the country. Classes are open to students in grades 6–11, and the semester begins this February! Contact your local Elite Prep branch today, and we will create a custom plan for your student.